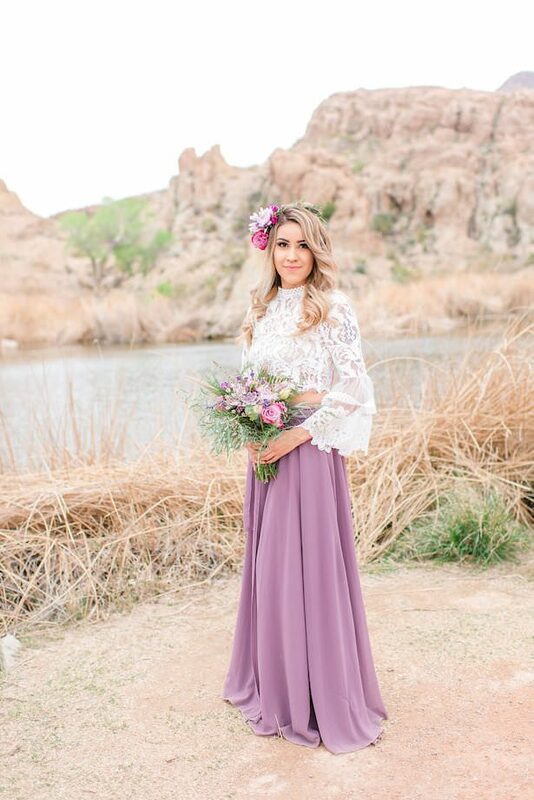 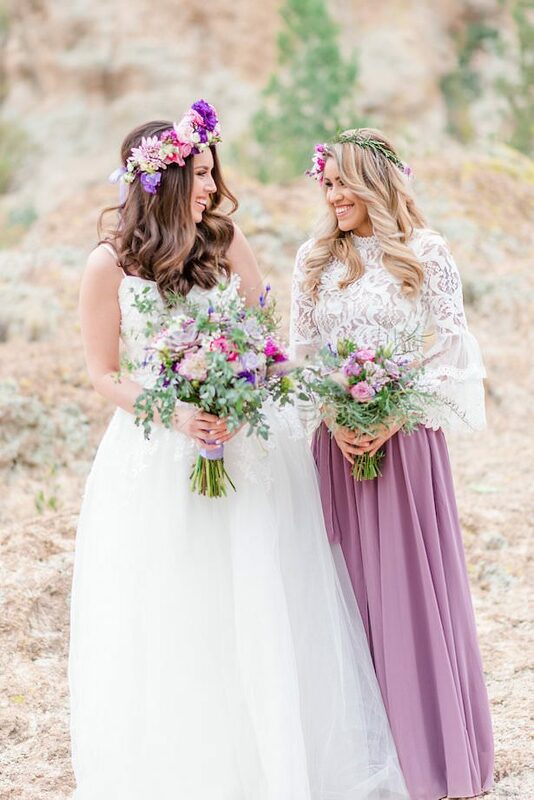 I see so many wedding photos, but this bohemian bride and maid-of-honor shoot gave me a real girl-power glow! 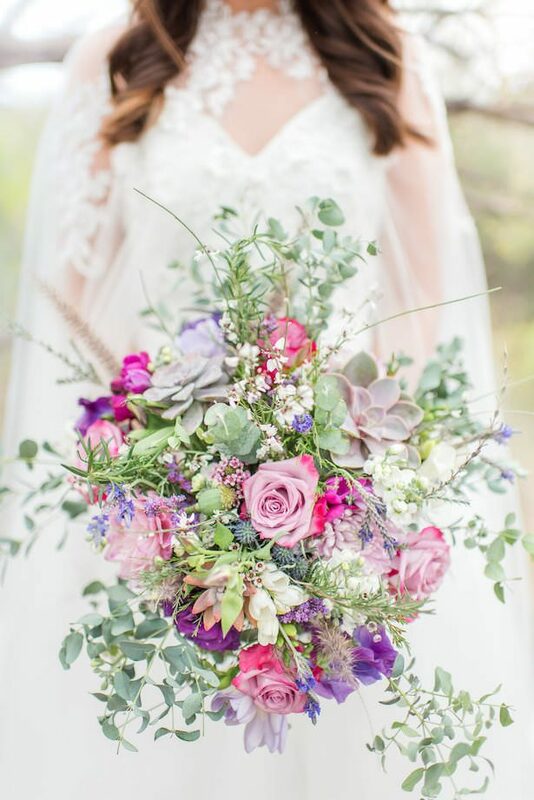 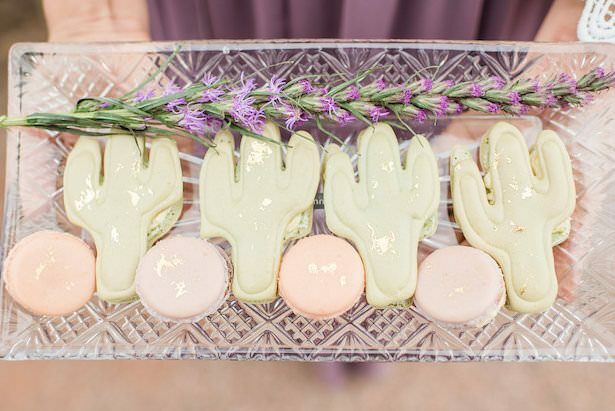 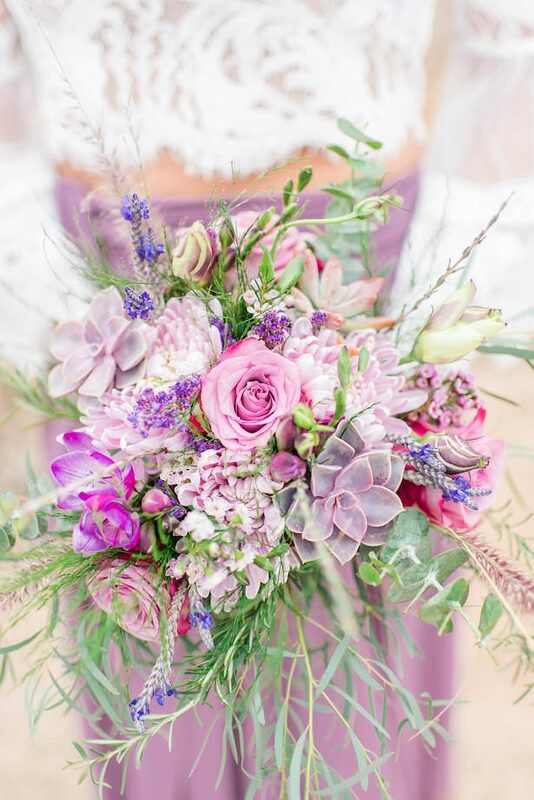 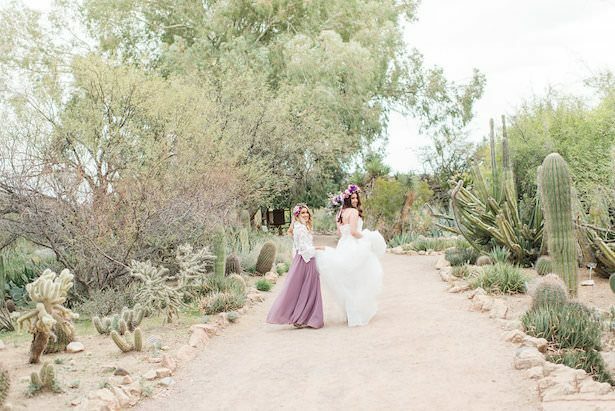 Inspired by the botanical garden where the shoot took place and the gorgeous color schemes of the plants and flowers blooming all around, the lavenders and greens gave it a beautiful, modern feel. 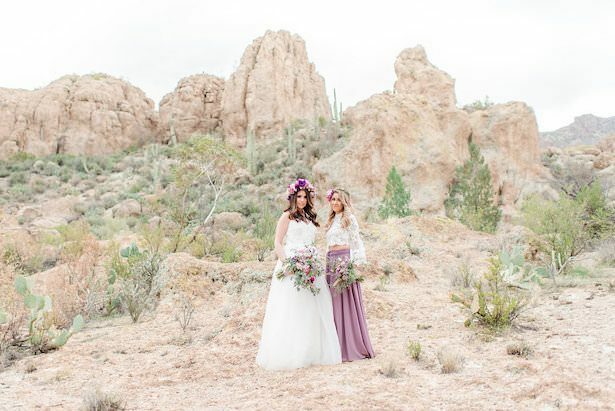 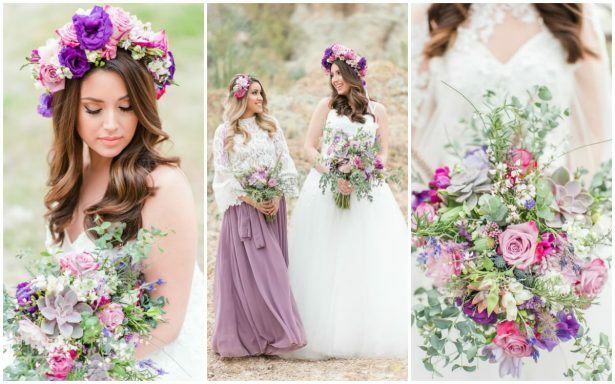 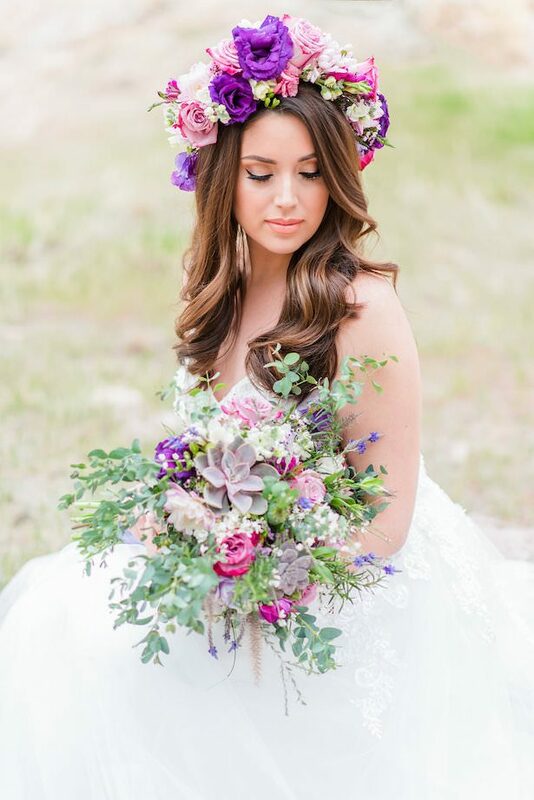 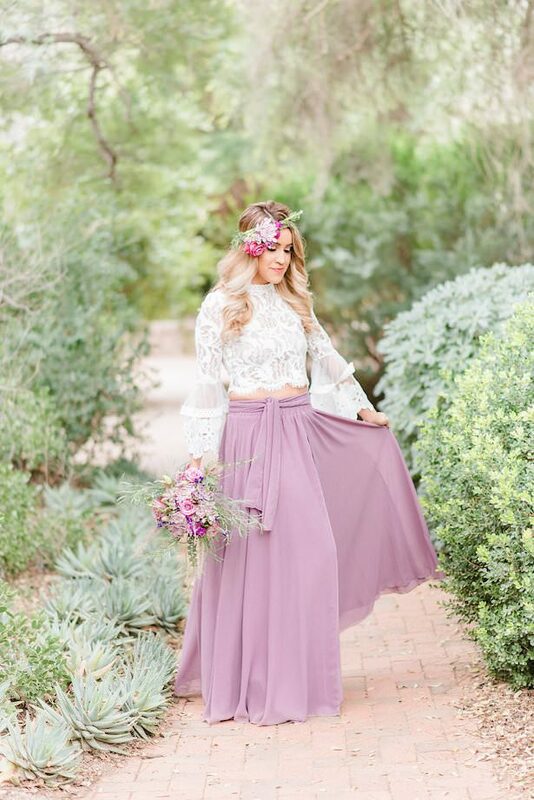 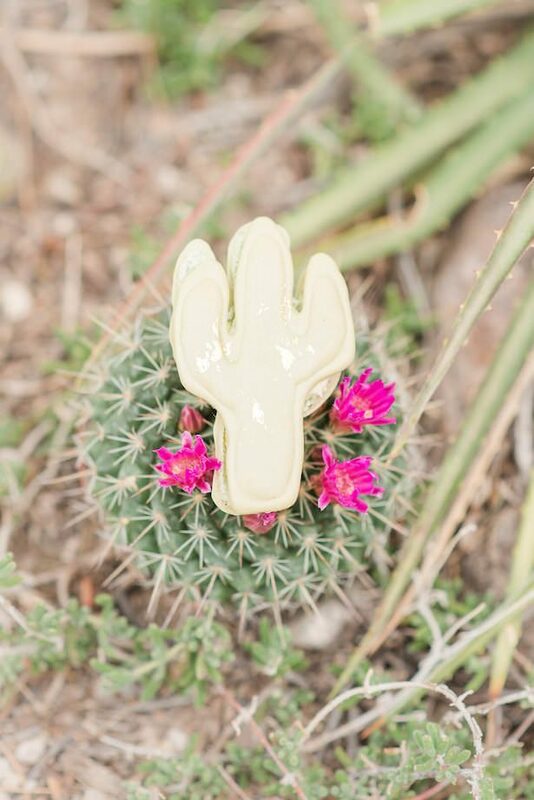 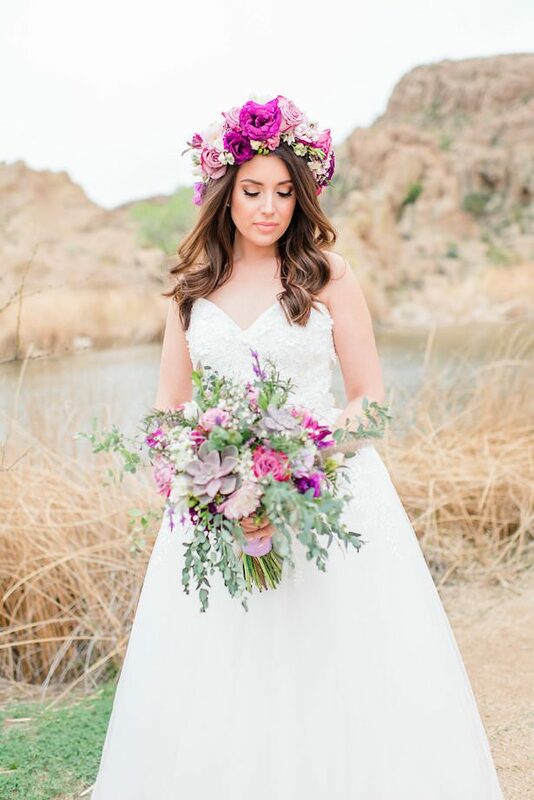 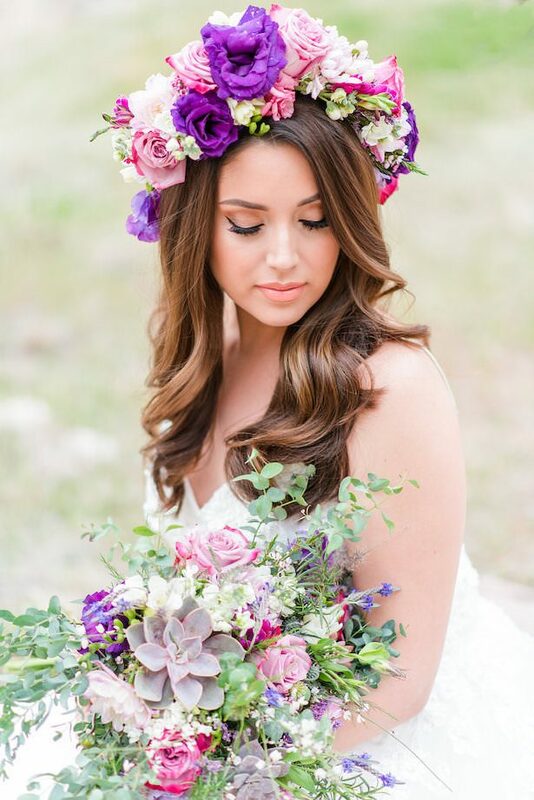 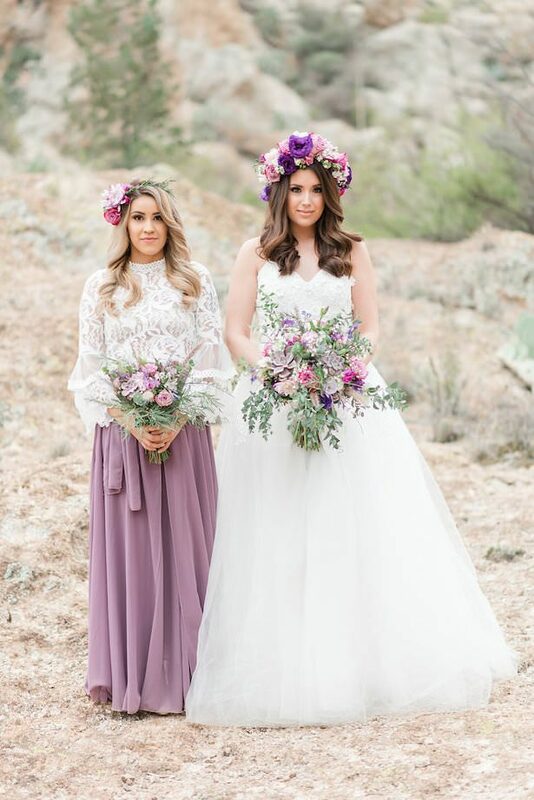 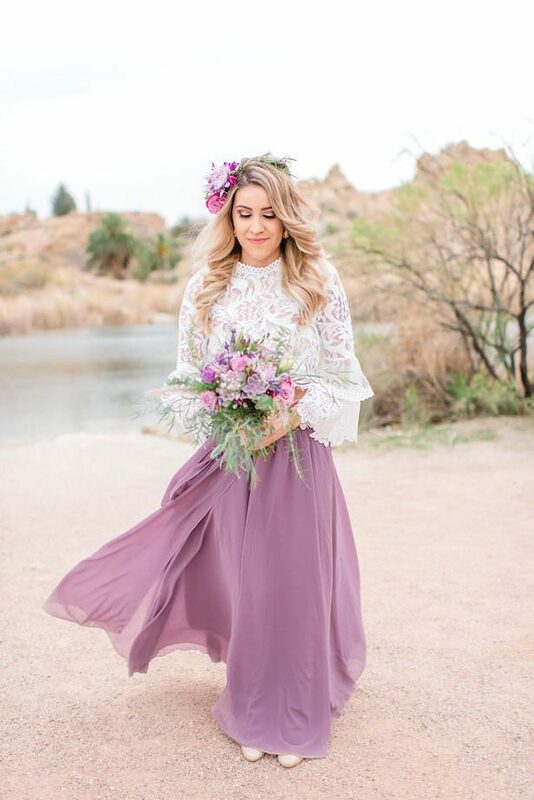 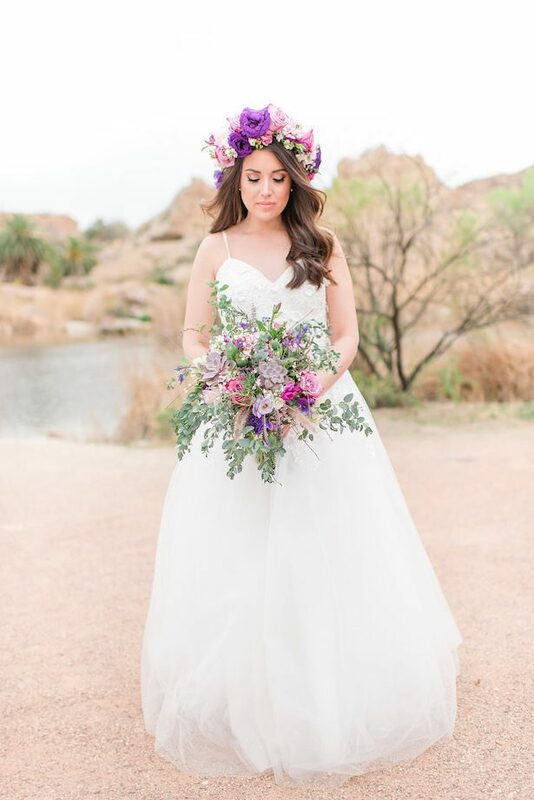 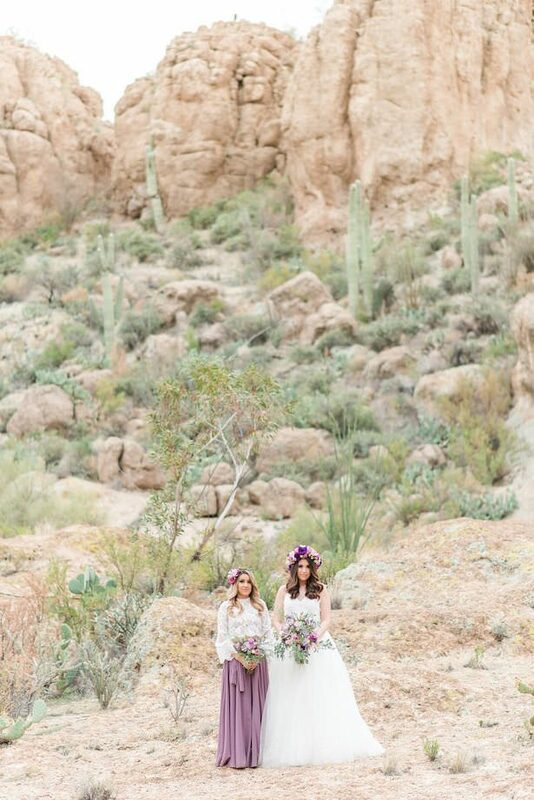 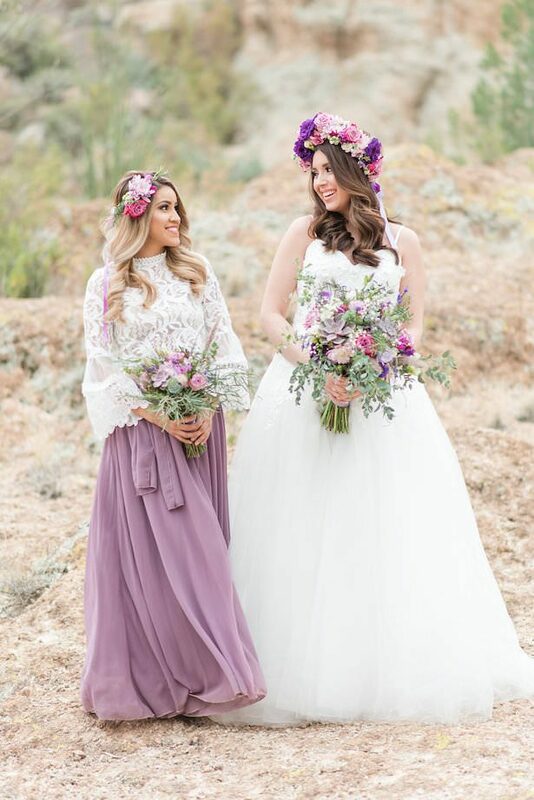 With a two-piece maid of honor dress, floral headpieces, and cacti sprinkled throughout, this shoot is an on-trend millennial dream that still keeps some classic, traditional elements. 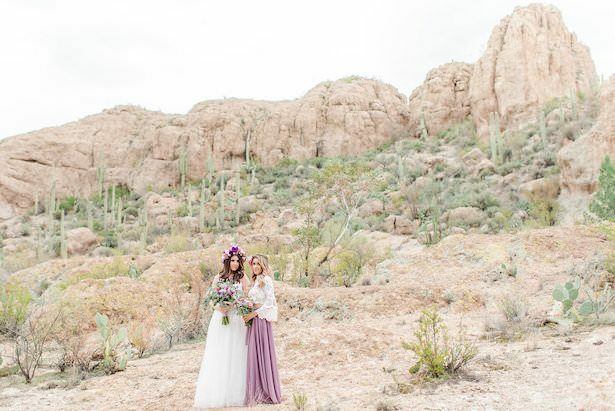 Check out the FULL GALLERY from Jade Min Photography LLC to see how amazing true friendship goals can really look!